It took a LONG time to go through. I promise you, *no song was repeated. * These are all the final notes, of almost every AC/DC song ever recorded (very few songs in their history, fade out. They were omitted). They know how to end a song. That's for sure. Feel free to share, steal, and give to your morning show without crediting me (you know who you are!). Annnd....power chord! All of this puts the quote attributed to Angus Young (AC/DC co-founder/guitarist) in a funny light: "I'm sick to death of people saying we've made 11 albums that sounds exactly the same, Infact, [sic] we've made 12 albums that sound exactly the same." But they have made millions and sold millions of records with those 3 chords and same endings. 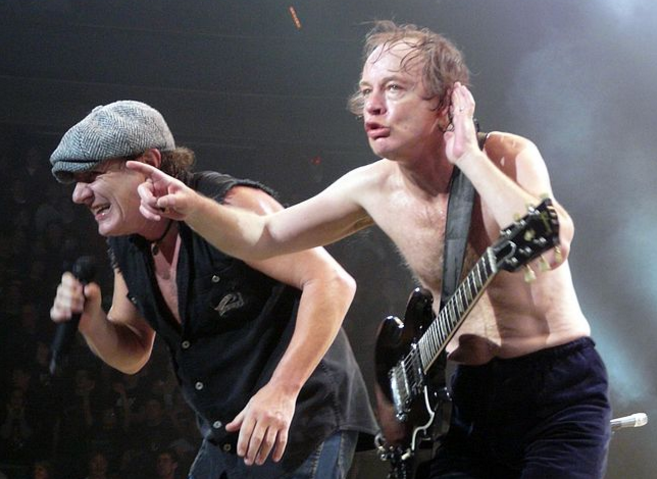 AC/DC a true rock band. Been listening to them since I was not quite so young and I’m 60 now. A great band and the personification of the “Three Chord Thunder” style of rock.